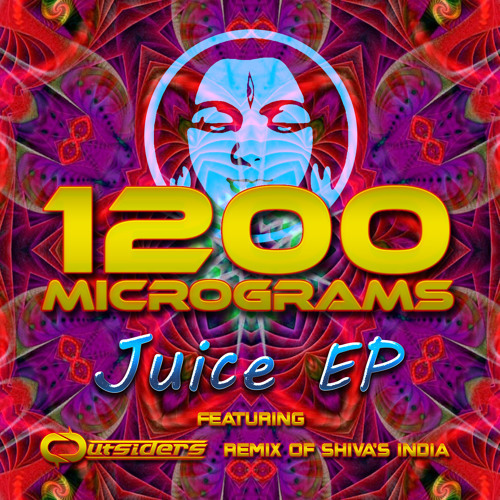 1200 Micrograms are back and kick off 2015 for TIP with an almighty bang. 20 Years ago this week were releasing Stimuli and finishing off the Yellow album and we are just as busy now with a series of top grade releases coming your way. 1200 Micrograms are Tips main headline act and deliver the highest impact performances and music . We are thrilled to be ale to start 2015 with a new EP from the 1200 boys. And double thrilled to have on it a really fantastic Outsiders remix of one of the biggest hits from the band, "Shivas India". Outsiders have become in 2014 one of the most important acts on Tip and one of the fastest rising acts in the global Psy Trance scene. They have been hitting home run after home run with their every production and this is another. Juice is a massive, stadium filling remix of one of the biggest hits of GMS, "Juice" and "Microdot" is a new original. An epic EP, like a blockbuster film in 3D. An A list cast and 1200 Micrograms full power, action packed style. Essential.